I can feel the warmth from the wood-burning oven just over my shoulder and catch myself intermittently gazing off into a heat-induced trance from the blaze. Despite the place feeling crowded (probably another reason for the heat), it's eerily quiet inside: My table of five occasionally lowers our voices as if we were in the library. But a library this is not: Mozzeria is one of the most talked-about pizzerias in the heart of a vibrant San Francisco neighborhood, where wait times on Saturday nights can extend as long as two hours. The reason for the unnaturally reserved ambiance might be because every staff member employed at Mozzeria identifies as deaf or partially deaf. For the roughly 95 percent of hearing guests who aren't fluent in American Sign Language (ASL), putting in an order means either pointing to the pizza of choice from the menu or writing it down on a piece of paper. Melody and Russ Stein, owners and founders of the 50-seat restaurant, have done more than open an authentic, Neapolitan-style pizza joint (it's one of only two Neapolitan pizzerias in San Francisco that's a member of the international organization Associazione Vera Pizza Napoletana.) They also are only two of a few restaurateurs in the country using innovative technology that allows them to entirely employ deaf and hard-of-hearing individuals — like the deaf-owned video relay system Convo, which allows hearing guests to call and speak to a staff member over the phone via an interpreter. Mozzeria isn't the first restaurant in the nation to be entirely owned and operated by a deaf and hard-of-hearing staff — that title might go to Crepe Crazy in Austin, Texas, which was opened as a stall in 2007 by Vladimir and Inna Giterman — but it's one of the most successful. Not only does the 7-year-old Mozzeria have a brick-and-mortar storefront, food truck and catering business, but in December it was selected as the first business partner of the Communication Service for the Deaf (CSD) Social Venture Fund (SVF). There are few employment opportunities for individuals who identify as deaf. According to a study by the National Deaf Center (NDC) in partnership with the University of Texas at Austin, only about 48 percent of the deaf community is employed in the United States (compared with 72 percent of hearing individuals). Mozzeria's partnership with the CSD has the potential to change that. The social-impact fund, which was created to address unemployment rates among the deaf and those with partial hearing loss, will create ASL-centered training programs, resources and mentoring support for the roughly 48 million people living in the United States who identify as having severe hearing loss. 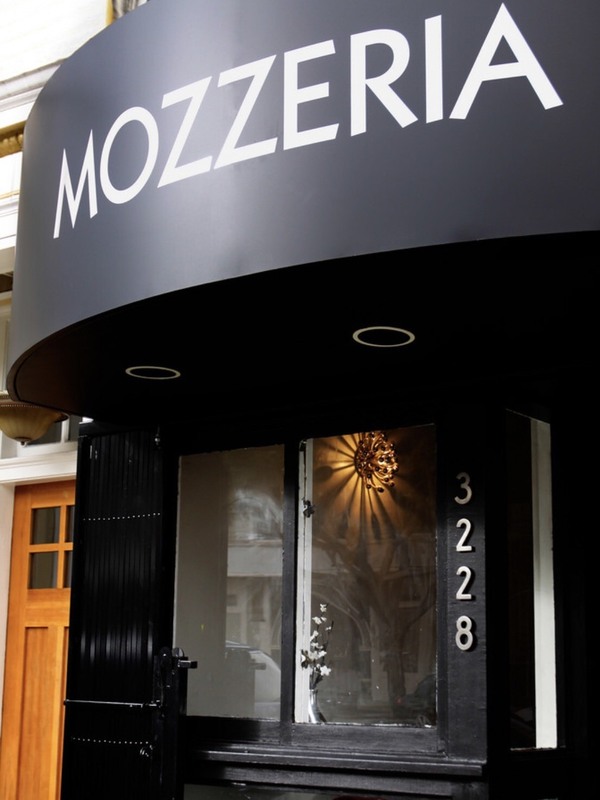 The partnership will also allow Mozzeria to franchise. The Steins are currently set to expand their West Coast empire, with an Austin location in the works for later this year. "We envision that each Mozzeria location will be looked at as a source of both local and national pride," Melody Stein wrote in February for Upserve. For many deaf and hard-of-hearing entrepreneurs, like Melissa Greenlee, CEO and founder of deaffriendly.com, and Crepe Crazy CEO Sergei Giterman (who took over from his parents), unemployment is an issue in their community that has long needed to be addressed. Greenlee explains that her growing frustration with people's lack of understanding of how to serve her, and her own inability to find meaningful work, lead to deaffriendly.com, a consumer review site for the deaf and hard-of-hearing community. "There were times when people refused to serve me at all," she wrote to me in an email. "No one should be turned away in a place of business due to their disability." Giterman, who four years ago had just six employees and now operates two locations and two food trucks with 30 employees, adds: "Finding employment as a deaf individual can be difficult. Out there, [employers] are less inclined to hire [deaf individuals], which sends all of us flocking to deaf-focused establishments. We started [Crepe Crazy] to provide a working opportunity where others wouldn't." But deaf-focused restaurants are few and far between. While there's no way of knowing the exact numbers, Deafdigest lists just eight restaurants currently operating in the U.S.
Perhaps the case for hiring and serving deaf individuals might no longer seem like such an issue, thanks in part to Starbucks. In July, the global coffee chain announced plans to launch its first ever deaf-friendly store in the United States. Set to open in Washington, D.C., in October, the "Signing Store Project" will be the company's second, modeled after their first in Kuala Lumpur, Malaysia. Unlike the Malaysian store, which puts partners — or employees — through a 10-week sign language course, the D.C. location will hire individuals who identify as deaf, hard of hearing, or hearing but fluent in ASL. Starbucks also plans to hire an additional 20 to 25 deaf, hard of hearing, or hearing partners proficient in ASL in other stores across the country later this year. But of the more than 350,000 Starbucks employees who wear the green apron globally, only about 200 currently self-identity as deaf or with partial hearing loss. Still, it's a step in the right direction, says Nick Buchanan, who co-owns Austin's Pepperbox Coffee, a deaf-owned and operated business. "It is so nice seeing other businesses showing how communication is possible," he says about Starbucks' plans. Like Mozzeria, Buchanan has tried a variety of methods for ease of communication with the hearing community, including a generic point-of-sale touchscreen system. "This Signing [Store Project] is a great exercise in forcing people to think outside the box in how they will communicate effectively with someone who doesn't hear," says Greenlee. With Mozzeria's franchise plans and Starbucks' "Signing Store Project," the hope is that the deaf and those with partial hearing loss will soon be served just like the hearing population. And as anyone lucky enough to have tried the pizza at Mozzeria knows, sometimes simply producing a great product is all one needs to attract an audience. 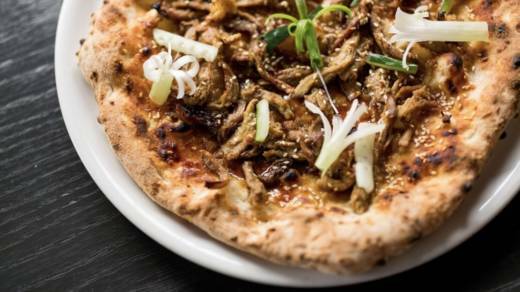 My recommendation would be Mozzeria's Peking Duck pizza — you'll forget about the paper-and-pad ordering system with your first bite. Meaghan Clark Tiernan is a freelance journalist based in the San Francisco Bay Area. Her work has appeared in Munchies, ExtraCrispy, Racked, and Atlas Obscura. Follow her on Twitter: @meaghanclark.